Featured by Forbes, CNBC, Economic Times and more! Sweat, pump up and get fit with the first ever A.I. powered workout coach - Boltt Health. 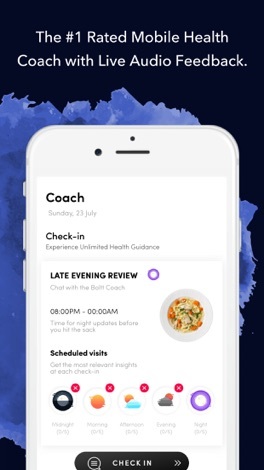 Boltt Health helps you track your sleep, diet, workouts and gives you personal insights and feedback so you can make smarter choices to improve your health, lose weight and crush your goals. 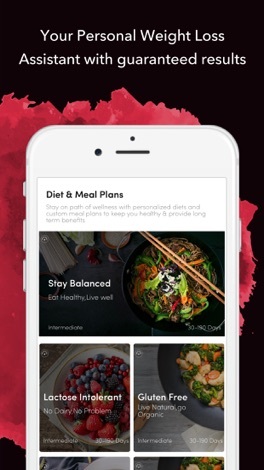 This is the FIRST complete health, fitness and weight loss app that includes a built in personal coach to make sure you get fit and lose weight! The automated A.I. trainer will ask you what you ate and give you feedback on your exercise, sleep and eating habits. It will track your health, detect patterns and give insights on your sleep, nutrition and activity through an automated chat mechanism. 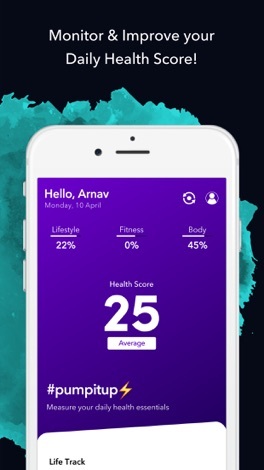 The Health Score combines your health ,fitness and lifestyle level to give ONE number that says it all !It is the most tangible measure of your health. Compare your score with your friends to know where you stand ! Enjoy a fun collection of scientifically designed workouts & exercises created by global fitness experts - guaranteed to get you fit. Designed to burn maximum calories in a short time , our workouts are based on interval training plans that involve walking, running and sprinting in quick successive intervals. Choose from more than 200 workouts tailor made for your goal, fitness level and body type! Get real time guidance, inStructions and motivation from the Audio Coach while you work out. Your trainer gives you live coaching on form, speed, technique and posture and helps you perform your workout better for optimal results. The key to effective and guaranteed weight loss is the right combination of exercises and healthy eating. Our weight loss plans are designed around your schedule, fitness targets and all body types and physical levels. Plans include short interval training running workouts and healthy meal plans with yummy recipes to achieve your weight loss goals. Log meals in our database of over 4 mn food items,to get a micro level meal by meal nutrient analysis.Access personalised diet plans tailored to body type and goals. Forget manual logging. Now you can also click a picture of your food and track its nutrients! Explore our library of sumptuous recipes , customised to your palette. Use the food grades , to get important information on how to improve your diet. By syncing with Apple Health, you can track your daily active minutes, steps, distance, burned calories and flights! 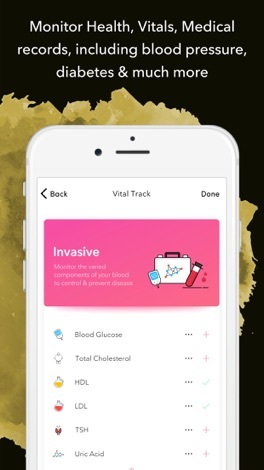 Connect with multiple data sources including the sensors built-in in your phone, Boltt Hardware, third party apps and services and a host of medical devices. Boltt Health supports all popular wearable devices and apps and can sync data from multiple sources including Fitbit Surge, Fitbit Charge 2, Fitbit Alta HR, Garmin Forerunner, Apple Watch, Samsung Gear Fit and more! 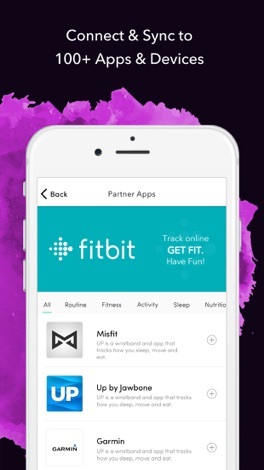 Even connect to popular fitness apps including Apple Music, myfitnesspal, Jawbone, Fitbit, Google Fit and Apple Health. Boltt Health is free to download with option to start a free trial of upto 1 month. For premium coaching features, we offer monthly , quarterly , half-yearly and annual plans at very compelling prices. Payment will be charged to your credit card through your iTunes account. Subscription renews automatically unless cancelled 24 hours prior to the end of the subscription period. The sudoku game using colors instead of numbers. Great visual and mental puzzle. Select your colors and place them on the board. Easy, medium and difficult levels. How to play screen. Con la nostra App prenotare um campo da beach non è mai stato così facile. Potrai anche prenotare il tavolo al nostro ristorante Informazioni utili e sempre aggiornate sui nostri corsi e tornei. Beach Tennis Beach Volley Foot Volley Ristorante a pranzo e cena Eventi e Feste private Aperti tutto l'anno! !